Between 1933 and 1945, one of the greatest acts of looting in history took place throughout Europe. 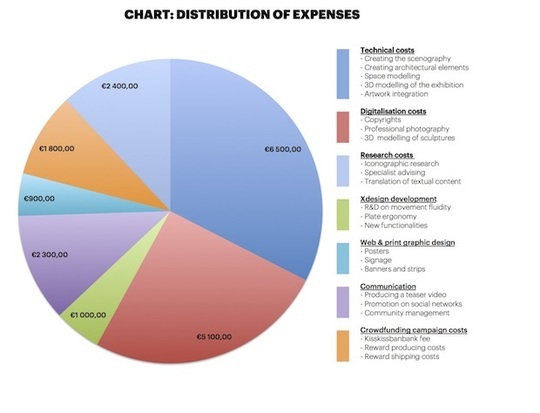 Over 600,000 artworks and objects were stolen from art dealers and collectors (mainly Jewish), museums, and churches. 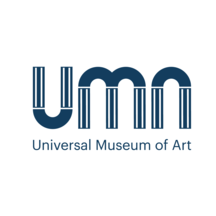 UMA (Universal Museum of Art) wishes to gather rare and eminent masterpieces stolen by the Nazis by creating an unprecedented and unique exhibition, curated by Marc J. Masurovsky and Ori Z. Soltes, with the support of the Holocaust Art Restitution Project. In virtual reality, UMA will publicise these works to raise the public’s awareness, and help identify the artworks by circulating them globally. It is hard to encompass the scale of such a massive spoliation – a cultural genocide – meticulously orchestrated by the Nazi administration. The greatest masters of classical and modern painting were subject to this artistic deportation. Among them were Michelangelo, Raphael, Vermeer, François Boucher, Gustav Klimt, Paul Cézanne, Pablo Picasso, Henri Matisse, and many others. An incalculable number of artworks are still missing or being detained by museums and collectors. They are forever scattered. Help us bring you art in an accessible way and in an attractive environment that will do the artworks and their histories justice! "Art is the swiftest way from man to man", said André Malraux. 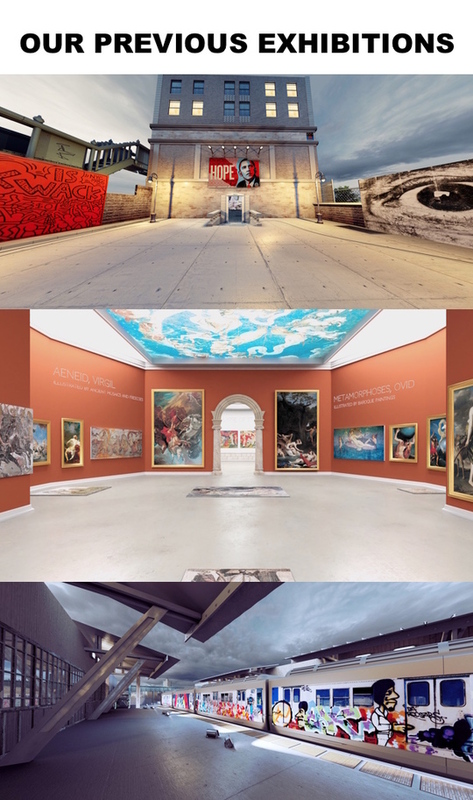 Created in August 2017, UMA is a museum in virtual reality. Without any spatial or practical limitation, we organise frequent exhibitions, curated by specialists, and we create unprecedented and immersive environments accessible on any device, to everyone, anytime, and for free on www.the-uma.org. UMA's ideal is simple and timeless: to share the experience of beauty and pass it on. UMA is based on three great principles: democratisation, accessibility, and innovation. In today’s digital era, access to culture no longer has to be a privilege anymore. UMA has already sparked the interest of several important actors within culture and the media: click on this link to find out more, and access our press kit here! Follow our news and updates about the campaign on our Facebook page and Instagram account! 'Hi! 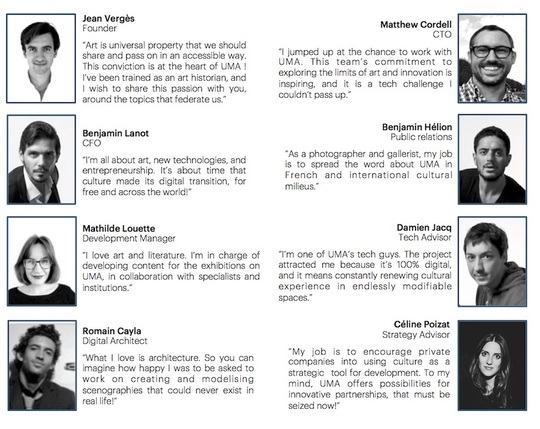 I'm Jean, the founder of UMA. Today, I’m asking for your help for three reasons. First, because the issue of looted art is a major one in our recent history, and one that still has repercussions today. It’s essential that this issue become accessible to the largest number, in order to pass on its memory and teach the future generations about it. Second, because it’s vital for the diffusion and accessibility of art that access to UMA should remain free of charge. Your donations are indispensable for this project, and for UMA, to exist. Look to your right to find out about the donation amounts, as well as the rewards we’ve arranged to thank you! VISITOR: do you wish to support this project? We want to show our gratitude to all the enlightened amateurs who contribute to bringing our project to life, for without you, it would not be possible. 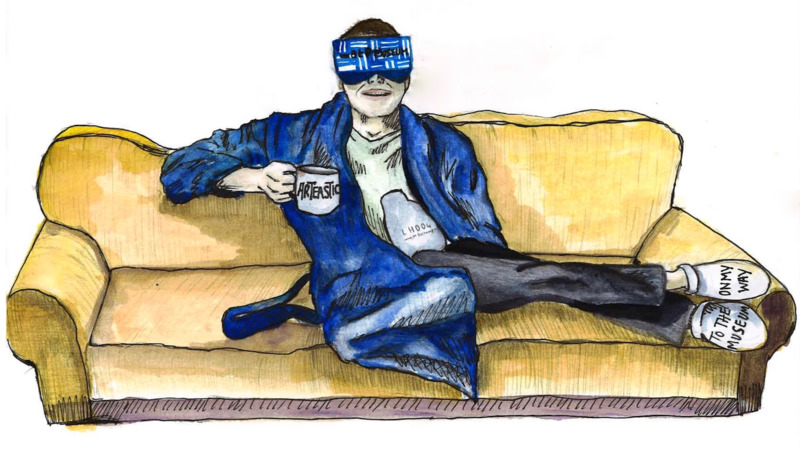 We’re happy to present the Perfect Virtual Museum-Goer Kit: the UMA VR Cardboard to slip your phone in, a snug pair of slippers, an artistic hot water bottle and a warm-hearted coffee mug, all customised in the spirit of UMA for an unprecedented visit! PATRON: are you moved by the fate of looted art, and do you wish to take part in the diffusion of art and missing artworks? We imagined a series of rewards in addition to the UMA Kit, which will give you the opportunity to either play a part in the exhibition or to dedicate your donation to someone. Learn more about the artworks personally, pass their singular memory on to a person of your choice, and allow them to find their place in the exhibition. If we manage to reach our goal, UMA will be producing a scenography that could not exist in real life. In order to fill the exhibition rooms, UMA will then set out on a photo mission to go through all the libraries, archives and museums, and interact with numerous institutions to obtain the best possible definition of images. When the first structures come to life in 3D is when we get the UMA shakes: polishing every wooden texture, picking every doorknob, quibbling about lighting and colour… 3D modelling is an adventure in and of itself! We know that the physical contact with the artwork is irreplaceable. We want to offer you a different experience, accessible to all: let us surprise you! NB. The company UMA will perceive the integrality of the funding. - online launch of the exhibition 'The Spoils of War: recovering looted artworks from the Second World War' for everyone to see, for free!! Stage 1: 20,000€, 100%. A huge thank you!! 'The Spoils of War: Recovering Looted Artworks from the Second World War' is entirely funded, that is a minimum of five rooms modelled in 3D, about one hundred artworks, enriched content for each artwork, a scenography imagined and created by specialists, and an architectural structure in virtual reality dedicated to the exhibition. Stage 2: 25,000€, 125%. You are terrific! This will give us the opportunity to create guided audio tours in English, French, Hebrew, German and Italian. Stage 3: 30,000€, 150%. Together, we make the impossible possible and reconstruct from archived footage the apartments of three major patrons of modern art who were prey to Nazi spoliation: Paul Rosenberg, Alphonse Kahn and Karl Grünwald. Stage 4: 50,000€, 250%. Development of UMA terminals in public spaces in order to broadcast the exhibition to the largest possible audience all the time, anywhere, and for free. Stage 5: 200,000€, 1000%. At this stage, UMAZELTOV! Creation of an interactive and pedagogical platform designed to be implemented in schools across the world. Among the possibilities: complete personalisation of the scenography of the exhibition, the choice of works, and the written content. Finally, sharing a personalised exhibition to your students, your professor, or your social networks. THANK YOU, CONTRIBUTOR: ♥♥♥ PATRONS' BOOK: your name will be carved in internet history on UMA's website, to be remembered forever by all visitors. 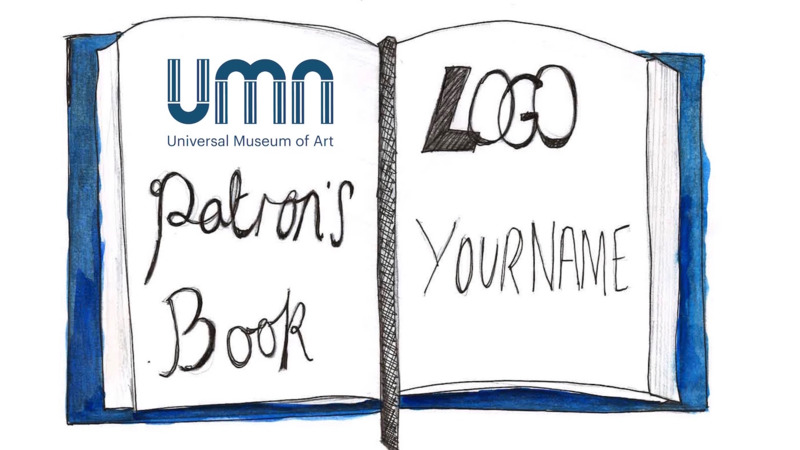 THANK YOU, VISITOR: ♥♥♥ PATRONS' BOOK: your name will be carved in internet history on UMA's website, to be remembered forever by all visitors. 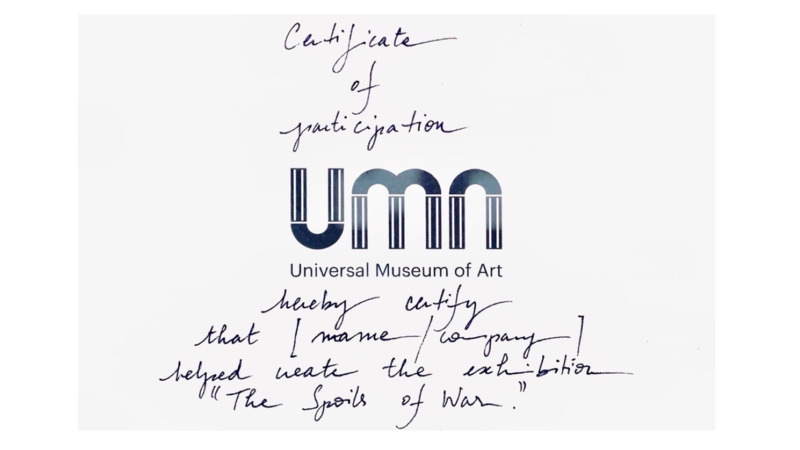 ♥♥♥ CERTIFICATE OF PARTICIPATION: you'll receive a handwritten certificate inscribed on UMA's beautifully embossed cards! THANK YOU, GOOD VISITOR (LIMITED AMOUNT DISCOUNT!! 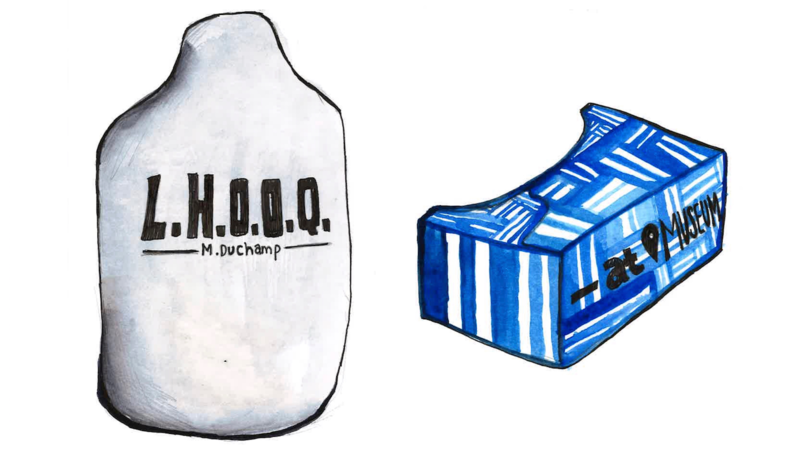 ): ♥♥♥ VISITOR'S PACKAGE (20€ reward) ♥♥♥ MUG OR SLIPPERS: pick one item of your choice to begin assembling your kit of the perfect virtual museum-goer. What will it be? 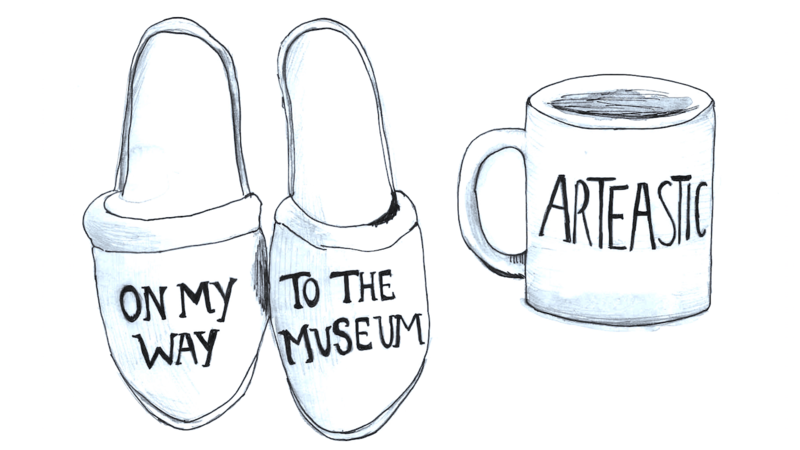 the "Arteastic" mug or the "On my way to the museum" slippers? THANK YOU, GOOD VISITOR: ♥♥♥ VISITOR'S PACKAGE (20€ reward) ♥♥♥ MUG OR SLIPPERS: pick one item of your choice to begin assembling your kit of the perfect virtual museum-goer. What will it be? 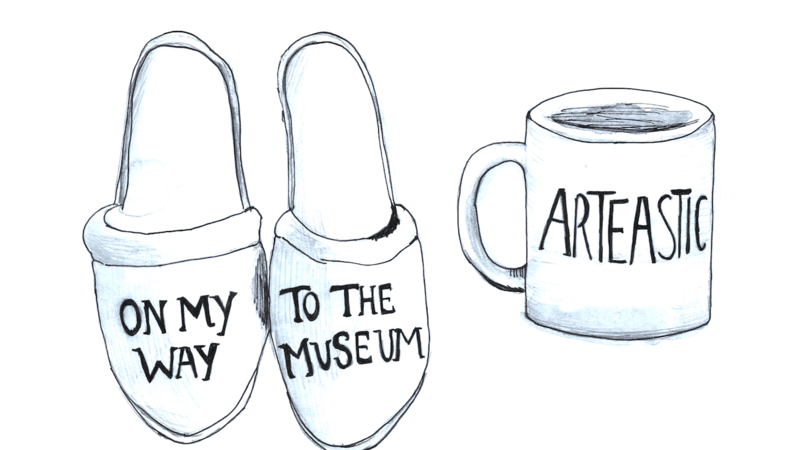 the "Arteastic" mug or the "On my way to the museum" slippers? THANK YOU, GREAT VISITOR (LIMITED AMOUNT DISCOUNT!! ): ♥♥♥ VISITOR'S PACKAGE (20€ reward) ♥♥♥ CARDBOARD OR HOT WATER BOTTLE: you'll receive one item of your choice to begin assembling your kit of the perfect virtual museum-goer. What will it be? the Marcel Duchamp hot water bottle? the customised UMA cardboard for a full virtual reality experience from your couch? THANK YOU, GREAT VISITOR: ♥♥♥ VISITOR'S PACKAGE (20€ reward) ♥♥♥ CARDBOARD OR HOT WATER BOTTLE: you'll receive one item of your choice to begin assembling your kit of the perfect virtual museum-goer. What will it be? 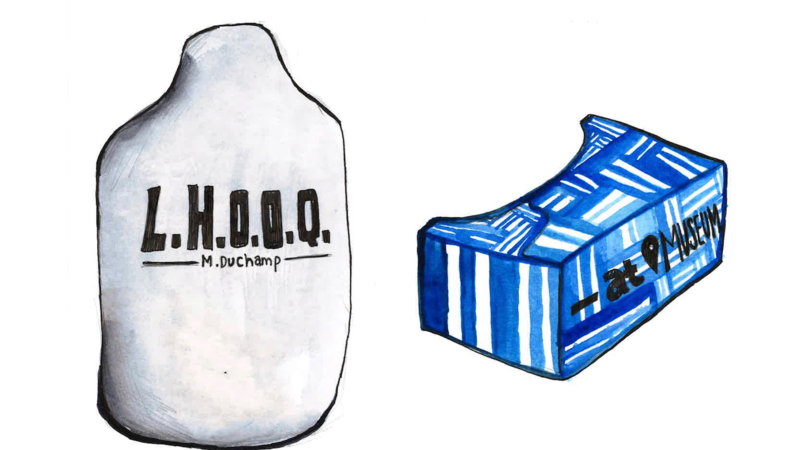 the Marcel Duchamp hot water bottle? the customised UMA cardboard for a full virtual reality experience from your couch? 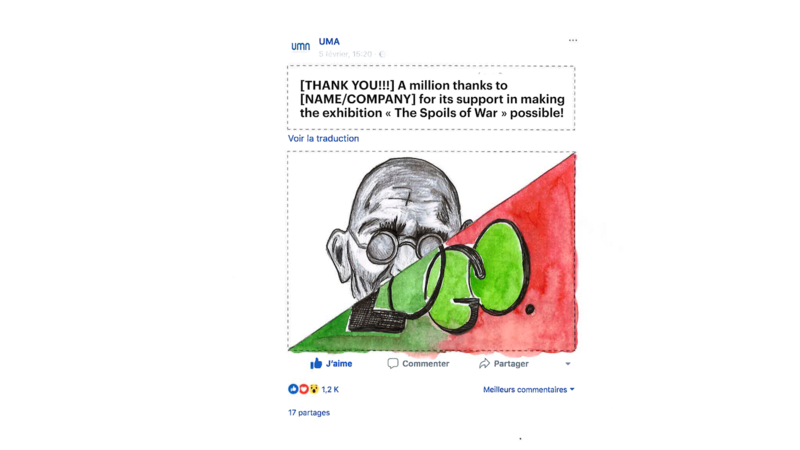 THANK YOU, AMBASSADOR-VISITOR: ♥♥♥ VISITOR'S PACKAGE (20€ reward) ♥♥♥ SOCIAL NETWORK POST: you'll have one post dedicated to your portrait as a UMA donator on our Instagram or Facebook feed! THANK YOU, PERFECT VISITOR (LIMITED AMOUNT DISCOUNT!! ): ♥♥♥ VISITOR'S PACKAGE (20€ reward) ♥♥♥ THE UMA KIT FOR ART IN VR: you'll receive the full UMA kit of the perfect virtual museum goer: slippers, hot water bottle, coffee mug and UMA cardboard for a full virtual reality experience to discover art and culture from the snugness of your home! THANK YOU, PERFECT VISITOR: ♥♥♥ VISITOR'S PACKAGE (20€ reward) ♥♥♥ THE UMA KIT FOR ART IN VR: you'll receive the full UMA kit of the perfect virtual museum goer: slippers, hot water bottle, coffee mug and UMA cardboard for a full virtual reality experience to discover art and culture from the snugness of your home! 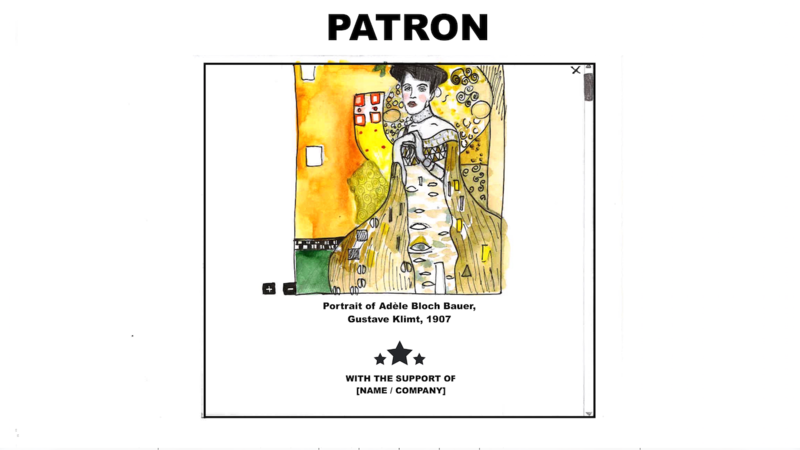 THANK YOU, PATRON: ♥♥♥ VISITOR'S PACKAGE (20€ reward) ♥♥♥ ADOPT AN ARTWORK: you can choose an artwork that you wish to sponsor or dedicate to someone. 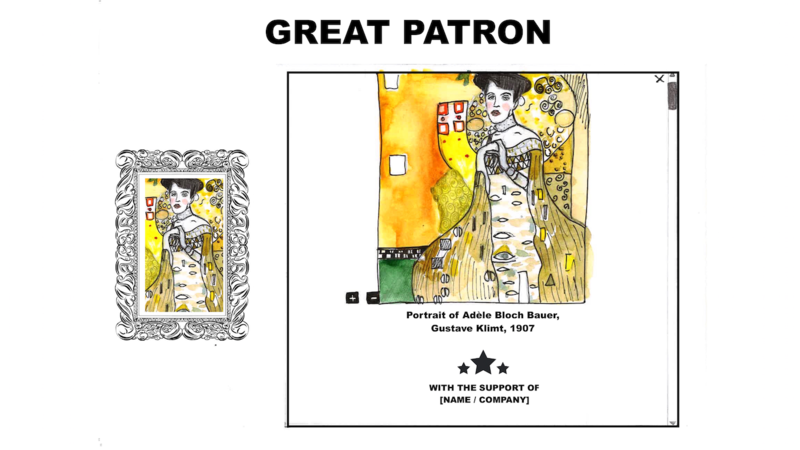 Your name (or the name of the person of your choice) and patronage will appear on the artwork plate and we'll ship you an ID file detailing the story of this artwork and its spoliation. THANK YOU, GREAT PATRON: ♥♥♥ VISITOR'S PACKAGE (20€ reward) ♥♥♥ ADOPTION PACKAGE (see above) ♥♥♥ 2 UMA KITS FOR ART IN VR: you'll receive two kits of the perfect virtual museum goer. ♥♥♥ THE COLLECTOR: pick and receive a lithography of the artwork of your choice! 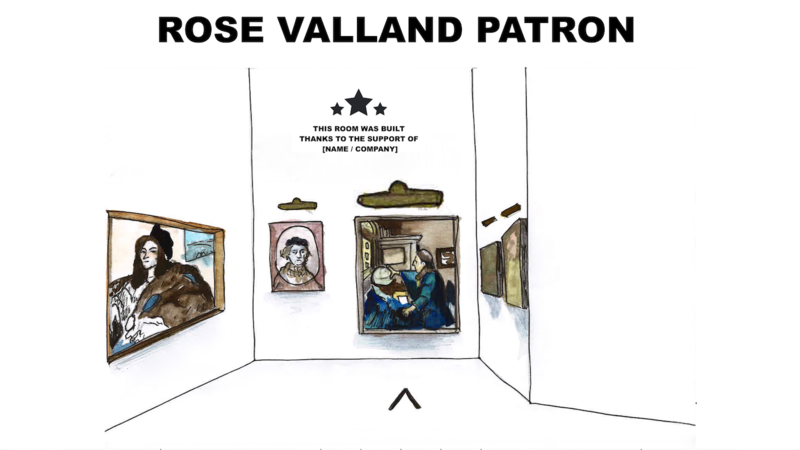 THANK YOU, ROSE VALLAND PATRON: ♥♥♥ VISITOR'S PACKAGE (20€ reward) ♥♥♥ ADOPT A ROOM: you'll become the exclusive sponsor of one of the exhibition's rooms! You can also dedicate it to someone! ♥♥♥ 2 UMA KITS FOR ART IN VR: you'll receive two full kits of the perfect virtual museum goer. 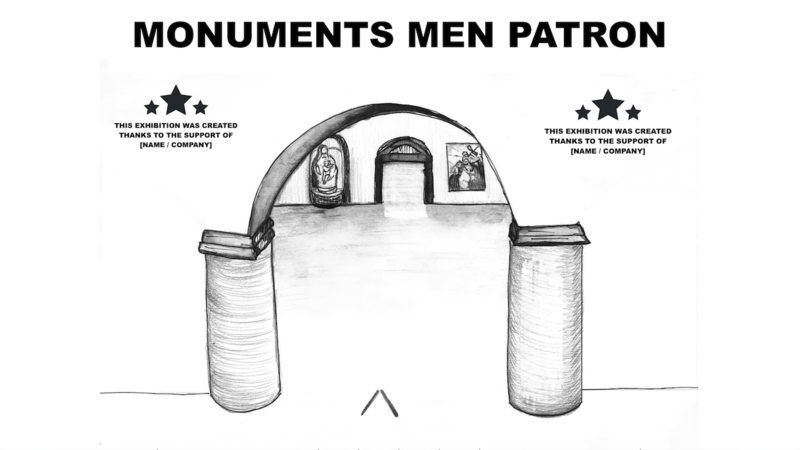 THANK YOU, MONUMENTS MEN PATRON: ♥♥♥ VISITOR'S PACKAGE (20€ reward) ♥♥♥ ADOPT THE EXHIBITION: you'll become an exclusive sponsor of the exhibition "The Spoils of War", or you can dedicate it to someone; your name, or that of the person of your choice, will be inscribed on the Patrons' wall in the anteroom. ♥♥♥ 3 UMA KITS FOR ART IN VR: you'll receive a Family kit or Company kit (3 kits of the perfect virtual museum goer) to share with those around you!